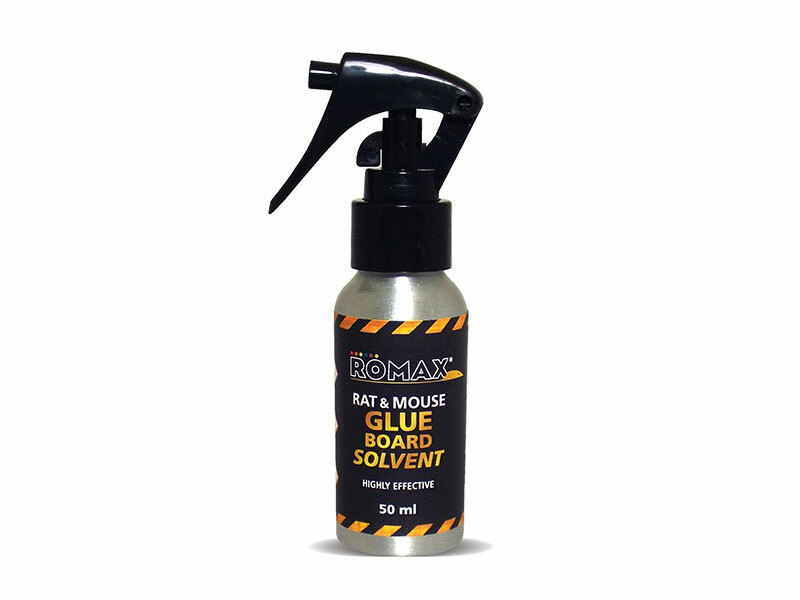 A responsible and essential component of a Pest Technicians toolbox the Romax® Glue Solvent solubilises the non-drying glue. This is ideal for removing insects from the Romax® Glue Boards for identification and cleaning hands or surfaces covered in glue. It is also key in the responsible use of glue boards and traps to quickly release non-target pests.